This project became necessary in 2001 to ensure compliance with Québec’s new Regulation Respecting the Quality of Drinking Water. It provided for achieving government standards in the treatment of surface water drawn from the Robert-Bourassa Reservoir. 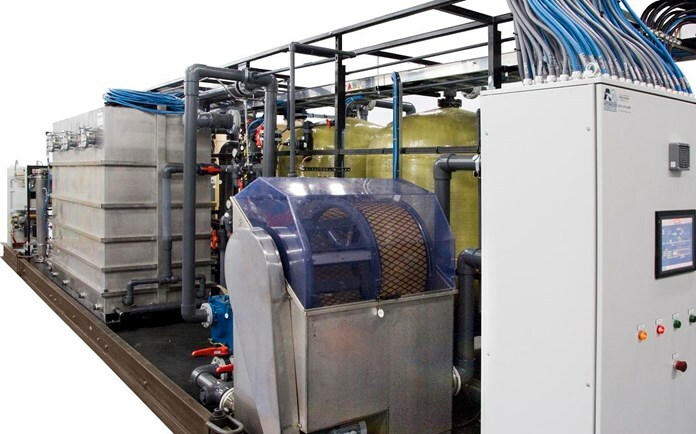 The Radisson project involved establishing and implementing an innovative and chemical-free drinking water treatment process using ozone and membrane filtration, certified by the Drinking Water Treatment Technologies Committee of the Québec government. Partners in the project were Radisson and the Baie-James Municipality, as well as Canadian engineering firm SNC-Lavalin, one of the world’s leading engineering services organizations, and Dagua. “SNC-Lavalin is pleased to be associated with innovative projects that can benefit communities like Radisson, given a global context where access to quality drinking water is a growing concern,” stated Éric Pinard, Engineer and Project Manager for SNC-Lavalin. All 400+ chemical analyses of the treated water indicated compliance with the Québec Regulation Respecting the Quality of Drinking Water. Only 16 service calls and 3 pre-scheduled service visits were recorded, with no critical plant downtime. Average time spent per day on plant operation: less than 30 minutes. Illustrates the turbidity of both the raw water and the water treated with the DaguaFlo-UMF process in Radisson. Data was collected at 4-hour intervals by the programmable logic controller (PLC) and uploaded via an Internet link. 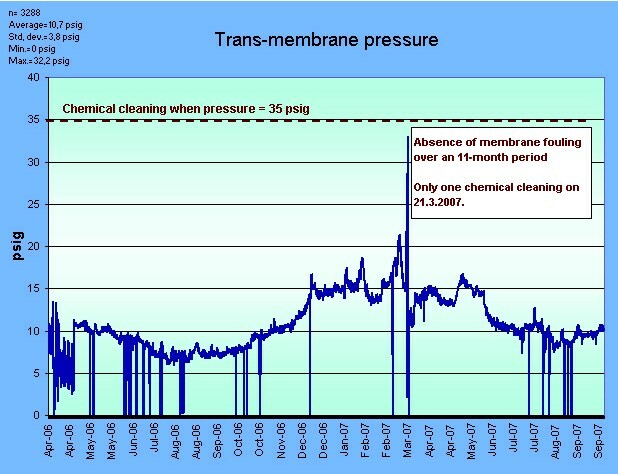 Graph 2 illustrates the trans-membrane pressure and demonstrates the absence of membrane fouling over an 11-month period. 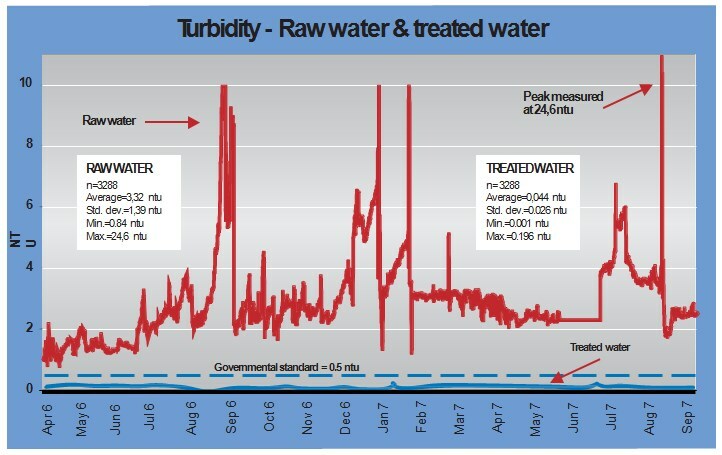 Over 18 consecutive months, the treated water registered on average 11x below the government standard of 0.5 NTU, and never exceeded the regulatory limit. These exceptional results demonstrate not only the system’s technical reliability and the minimal operator time required, but above all the superior quality of the treated water supplied to Radisson’s residents on an ongoing basis. Dagua’s commitment to quality means innovative thinking…rigorous science…and responsible action!